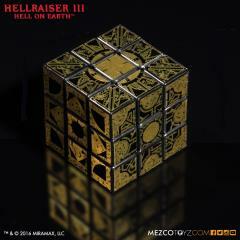 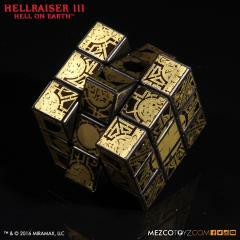 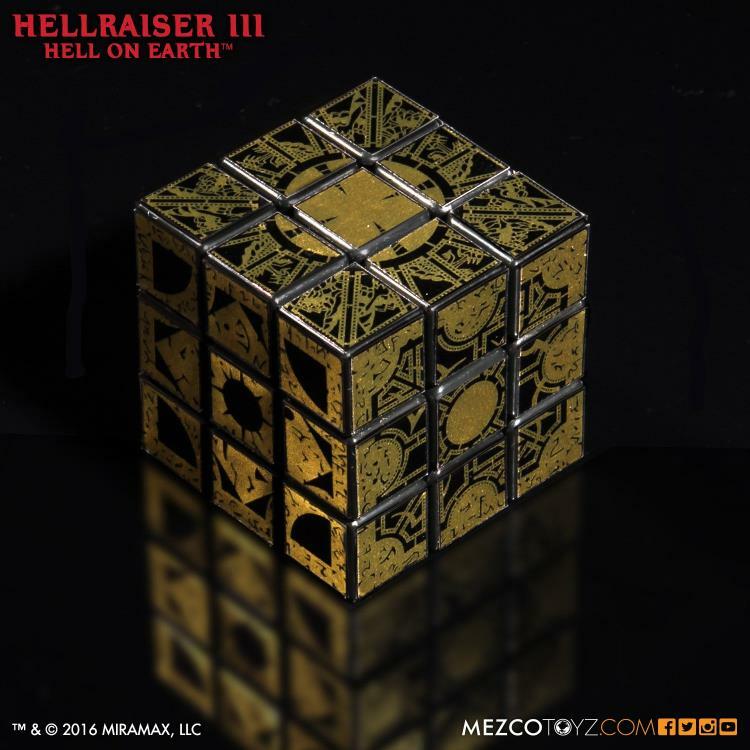 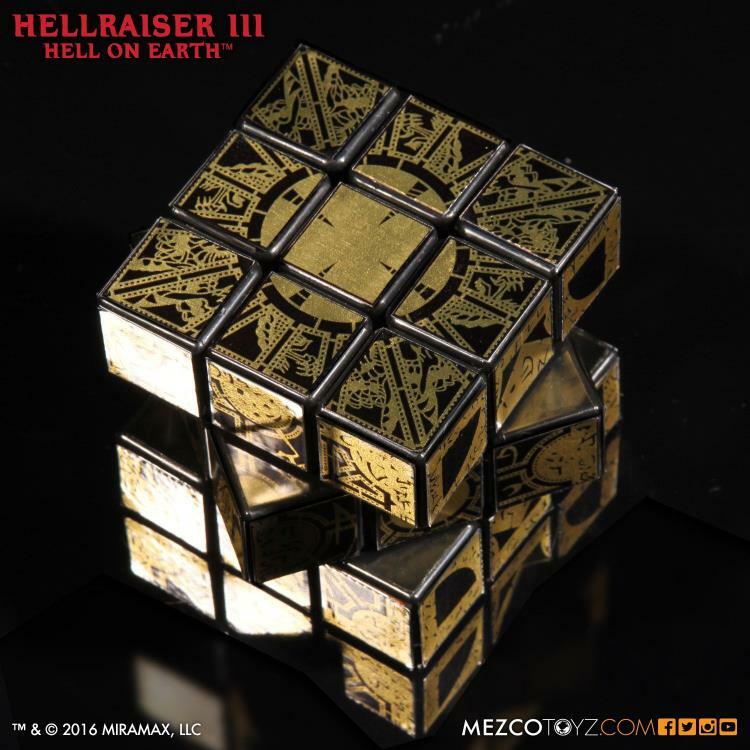 Within the Hellraiser universe, the Lament Configuration it is the key to the gates of Hell itself and the summoner of the Cenobites. 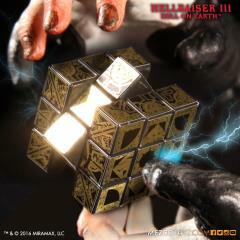 Now, for the first time ever, it is recreated as a working puzzle. 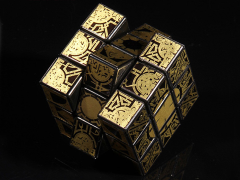 Featuring artwork based on the designs of Philip Lemarchand, the prop-sized square puzzle rotates on both the X and Y axis with an almost supernatural smoothness. With 43,252,003,274,489,856,000 possible combinations, even Dr. Channard would find himself bedeviled in a quest for the solution. 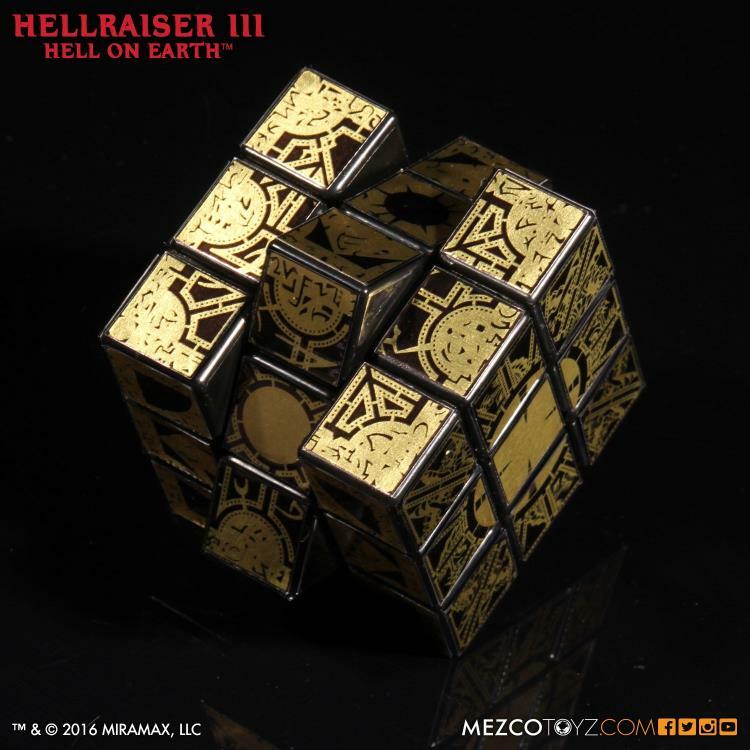 Suitable for use as a fiendishly confounding puzzle or as a film replica display piece — the choice is yours.